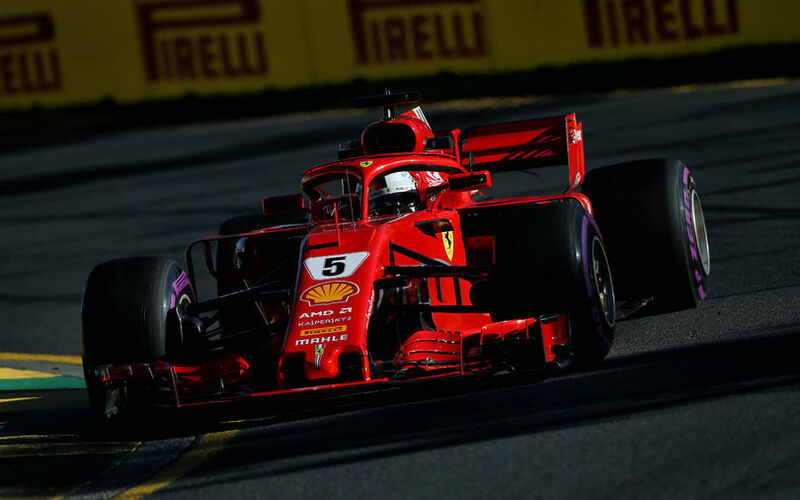 Sebastian Vettel kicked off his 2018 championship campaign in the best way, claiming victory in the season-opening Australian Grand Prix. The German, however, concedes Ferrari has to work on its car. The Heppenheim-born hailed his team for opting for an aggressive team-intern strategy. He was also happy that luck was on his side after last year’s China and Spain Gran Prix when he was robbed of victory to Lewis Hamilton due to unlucky timing of safety car and virtual safety car period. The quadruple world champion acknowledged his new racing office, the SF71-H required lots of fine-tuning. Vettel does not have confidence under braking and on the entries to the corners which needs to be addressed if the team want to unlock the full potential of the new car. Vettel’s team-mate Kimi Raikkönen started the race from the second position and ended up third. This was the best start to the season for the Finn since his win in the 2013 season-opening Australian Grand Prix. Räikkönen kept insisting that he was delighted with the car’s behavior. Despite having tested much less than his team-mate Vettel in the winter, the 2007 world champion has been more consistent over the weekend. “This is a quite special track in many ways, so let’s see what happens in the next race. Bahrain it’s not very straightforward either; from year to year we have seen that the hot conditions don’t give a 100 percent true picture. We need to be patient and do our best wherever we go,” concluded the Finn.